Former U.S. president Jimmy Carter provided an update on his health today in a press conference, announcing that he has melanoma. Former U.S. president Jimmy Carter announced today that he has melanoma. Four small spots of the disease — about 2 mm in size — were found on his brain, Carter, 90, said. He said his first radiation treatment would take place this afternoon. Additionally, Carter said he would undergo treatment with the immunotherapy Keytruda (pembrolizumab). Keytruda is an antibody designed to disable the protein PD-1 so it cannot do its job of keeping the immune system in check; this allows T cells to become more active in recognizing and fighting cancer cells. The agent is currently approved for the treatment of patients with unresectable or metastatic melanoma and disease progression following Yervoy (ipilimumab) and, if BRAF V600 mutation positive, a BRAF inhibitor. Carter will receive an intravenous infusion of the agent every three weeks. 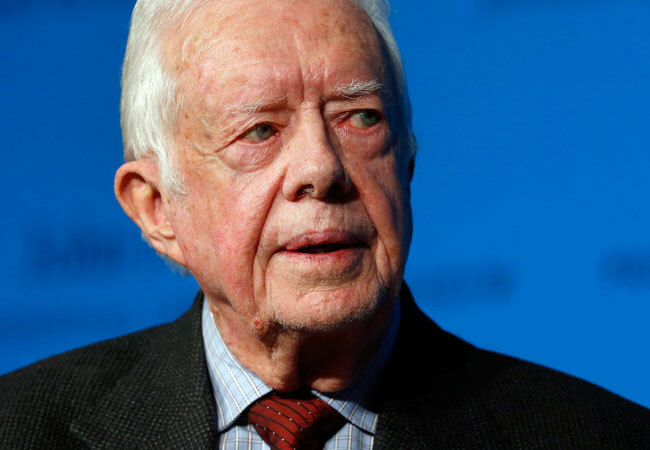 Carter also touched on his obligations to the Carter Center, saying that he will be cutting back "fairly dramatically" and cannot anticipate how he’ll feel as a result of treatment. In early August, Carter announced that he had a small mass removed from his liver. Today, he said that the tumor was 2.5 cm3 before the surgery but that surgeons removed 85 cm3 of his liver. “[My doctors] had a very high suspicion then and now that the melanoma started somewhere else on my body and spread to my liver,” Carter said during the press conference. Carter has a family history of cancer. His brother, father and two sisters all died of pancreatic cancer and his mother had breast cancer (that later metastasized to her pancreas). Pancreatic cancer carries a five-year survival rate of about 7 percent. Melanoma of the skin is the sixth most common type of cancer in the U.S., and is estimated to account for 73,870 new cases of cancer in 2015. The disease has a five-year survival rate of 91.5 percent. Melanoma that has metastasized to distant sites (such as the brain) has a lower five-year survival rate of approximately 17 percent.